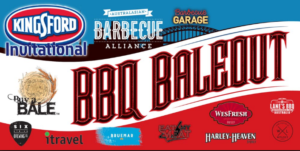 BE Campbell Group and Bruemar are proud to sponsor the pork category at the Sydney BBQ Bale Out Fundraiser and Kingsford Invitational this weekend in Moore Park. 25% off funds raised from ticket sales will go to drought relief aid in conjunction with Buy a Bale. This event is a great example of producers and end users supporting each other in a time of need, and we are grateful to be a part of it! On top of that, our men will be participating in team Wildcard Barbeque. The team will be setting up on Saturday and will start cooking at 10pm Saturday night and cooking right through to serving at 11am until 3pm on Sunday. Unfortunately, this food will not be available to the ‘public’ but there will be food trucks galore there on the day. Good luck to our team competing against some of the best BBQ teams in Australia/ NZ.